Deaf and Hard-of-Hearing visitors to The Sixth Floor Museum at Dealey Plaza can now access the eyewitness commentary and historic radio broadcasts featured on the Museum’s audio guide via a new American Sign Language (ASL) translation. 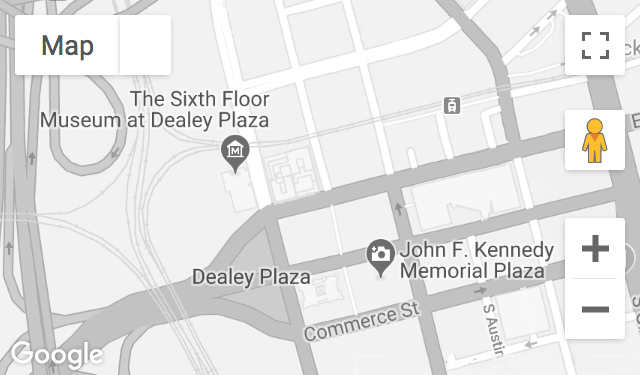 The leading Dallas museum, which chronicles President John F. Kennedy’s assassination and his lasting legacy, has partnered with Winkshop, Inc. to develop The ASL Guide to The Sixth Floor Museum. The Museum is one of only a few museums in the country, and the only museum in Dallas/Fort Worth, to offer its full exhibit audio guide in ASL. Winkshop founder Wink Smith Jr. explains more about the guide in this ASL Video News Release, accessible via the Museum’s YouTube channel.